The concept “legal aid” denotes a wide meaning and includes counseling, payment of lawyer’s fees and other incidental cost for expenses of the litigation. The general meaning of the term “Legal Aid” is a legal support, social security, social arrangement extending and providing special assistance or help to the poorer and weaker numbers to enable them enforce their legal rights through legal process. 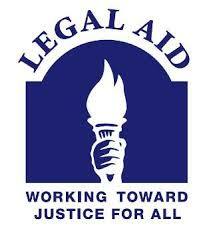 Legal aid means the assistance in the legal matters both inside and outside the courts to the indigent litigants. The New Encyclopedia Britannica defines legal aid as the professional legal assistance given, either free or for a nominal sum, to indigent persons in need of such help. Section 2(a) of the Legal Aid Act, 2000 provides that Legal Aid means providing legal advice, paying lawyers fees and cost of litigation including providing any other assistance to those who suffer financial insolvency, destitution, helpless or are unable to access justice due to various socio-economic conditions. The modern justice system through judicial adjudication is very costly and that cost has been the most difficult factor for the average people to get justice in both developed and developing countries. In a suit-where one party is poor and the other party is opulent, here equality, rule of law, and fair trail, ensured in our constitution and other constitutions and documents of the world can not be maintained because the opulent party is able to appoint an expert advocate who can easily take the fruits of the suit in favour of his clients which the opposite advocate fails to do. In the case of Bondhu Mukti Morcha vs. Union of India, the former chief justice of India P.N Bhagwati Observed, where one of the parties to litigation belongs to a poor and deprived section of the community and does not process adequate socials and material resources he is bound to be at a disadvantage as against a strong powerful opponent. Therefore as long as poor exist in the society legal aid will be necessary to uphold human rights and equality. Thus the provision of legal aid is essential for the safe walk of democracies on the track of rule of law and the equal protection of laws. The main of providing a legal aid scheme is to make the law and legal services accessible, to all in commitment to the internationally recognized principle of equality of justice. Unless legal aid could be claimed as of right, it cannot be said that equality before law has been achieved. In a democratic country, it is a prerequisite that all citizens get economic and all justice. In developing countries, the law is often discriminatory while the process to access justice is slow, cumbersome and complex. The result is that people especially the poor have inadequate and unequal access to justice through requires that both these systems be made to work justly and equitably and this is possibly by way of giving legal aid to the indigent litigants only. The objective around which the program of the legal aid woven by the developing countries is that there should be uniformity of law for the poor and the privileged sections of a democratic country. This includes Welfare, food stamps, medical assistance, supplemental security income, social security and unemployment compensation. This includes eviction, lockouts, confiscation of personal foreclosures, discrimination (racial and against families with children), disputes with landlords over repairs, rent contracts deposits or difficulties with public housing. This includes debt problems, contracts, warranties repossessions, wage garnishments, discrimination and counseling on small claims court and bankruptcy procedures. This includes divorce, adoption, custody, support, visitation, guardianship, restraining orders, defense in paternity and modification of decrees. This includes Medical, Medicare, Guardianship defense, and Issue involving nursing homes or other types of care facilities. This includes expulsion and suspension from school and other disputes involving school. In addition, some office may represent juveniles in criminal proceedings; however, this is by court appointment only. Some program handle a limited number of cases the area of immigration law. Md. Ansar Ali Khan, Legal System of Bangladesh, 1st ed. (Dhaka: National Law Book House,2007), p. 424. Nusrat Ameen, The Legal Aid Act 2000: Implementation of Government Legal Aid Versus NGO Legal Aid, Journal of the Faculty of Law, vol. XV, No, 2 (Dec. 2004), p. 63. Md. Abdul Halim, ibid., p. 269. 3 (1984), SCC, 161, as citied by ibid., p. 269. [http://www.osbar.org/public/rih/lowcost-Legalhelp/legalAid.html, last visited 10th March 2012]. [http://www.indiansocialstudies.com/2009/04/concept-of-legal-aid-social-justice.html, last visited 8th March 2012]. Nusrat Ameen, ibid., p. 59. [http://www.osbar.org/publie/rih/LowcostLegalHelp/LegalAid.html, last visited 10th March 2012].